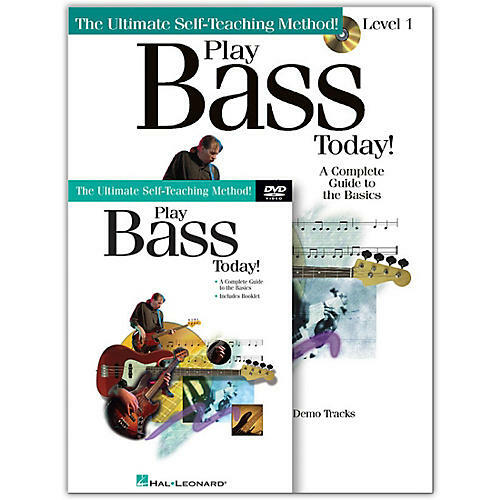 The Hal Leonard Play Bass Today! Level One offers the ultimate self-teaching method designed to offer quality instruction, terrific songs and professional-quality online audio examples with 99 full-demo tracks and online video with more great instruction to help beginners master the basics. This pack teaches songs, riffs, and scales; all musical styles; playing tips and techniques; and more. It also includes standard notation and tablature. 48 pages.